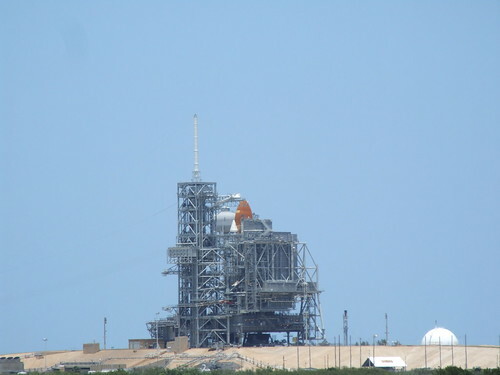 Space Shuttle Orbiter Atlantis at Pad 39, being prepared for a launch less than a week away. Wow! I've only been the once to Cape Canaveral. In 1988 when the name, "Chalenger" was still on everyone's lips. It was the first time I saw an IMAX movie though. "The Dream is Alive" I still remember the launch sequence. I hope this launch is as good for you!